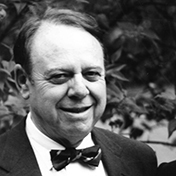 Dr Bert Lester Vallee, the Paul Cabot Professor of Biochemical Sciences Emeritus at Harvard Medical School, was an able physician, a passionate scientist, and a brilliant biochemist. He was born in Germany (1919) and grew up in Luxembourg. With a BSc from the University of Bern, he came to the United States in 1938. After receiving his MD from the New York University College of Medicine in 1943, he began work at Harvard Medical School and MIT where he became interested in the metabolism of iron and other metals such as zinc and copper. He quickly recognized the potential of spectroscopy, particularly emission arc spectroscopy, for the detection of metals in biological systems. He was awarded a National Research Council Fellowship in 1948 to pursue both of these challenges in the world-famous spectroscopy laboratory affiliated with the physics, chemistry and biology departments of MIT. In 1954, he established the Biophysics Research Laboratory at Harvard Medical School and Peter Bent Brigham Hospital. At Harvard, Dr Vallee was named Assistant Professor of Medicine in 1956 and became the Paul C Cabot Professor of Biological Chemistry in 1965. Bert Vallee was especially well known for his identification of zinc in various metalloproteins and enzymes. Because of his work on the role of metals in biological systems, many consider him to be the “father of metallobiochemistry.” Carboxypeptidase and metallothionein were among the many zinc proteins studied in his laboratory. As a consultant to Monsanto, he initiated one of the earliest collaborations between a university and industry. Bert Vallee’s bibliography includes more than 650 publications, comprising research articles, books and reviews. He was recognized widely for his scientific accomplishments and was elected to the National Academy of Sciences and the American Academy of Arts and Sciences. Among his many awards were the Linderstrom-Lang Medal, the Willard Gibbs Medal from the American Chemical Society and the William C Rose Award from the American Society for Biochemistry and Molecular Biology. He received honorary degrees and professorships throughout the world and served on the editorial boards of multiple journals.